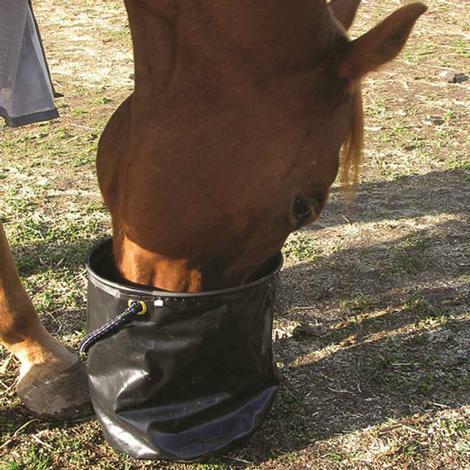 The Cashel Collapsible Water Pail is designed for feeding or watering on the go, in your barn, trailer or truck, and small enough to fit anywhere comfortably when collapsed. The Collapsible Water Pail is made of a tough, waterproof material that is extremely durable. Protect your horse while supporting the Wounded Warrior Project. These leg guards are made by Cashel. Part of the proceeds from their purchase goes directly to the Wounded Warriors organization to help them in their mission to assist our returning veterans. The leg guards are made from a durable poly mesh that blocks irritating biting insect, stickers, burrs, and 70% of the sun’s UV rays. Hook and loop system allows for adjustment to suit your horses confirmation. 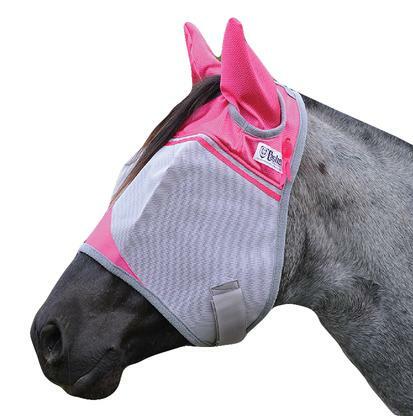 Protect your horse and fight breast cancer. 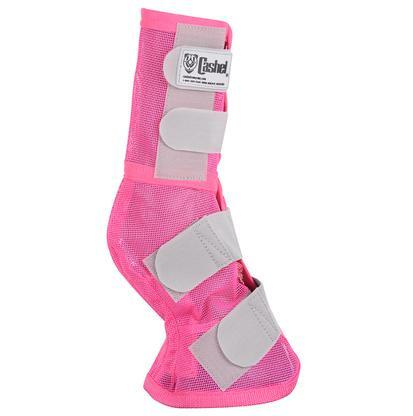 Cashel’s Crusader Leg Guards are made from pink and grey poly mesh blocks 70% of UV rays. Legs are protected from flies, biting insects, burrs, and stickers. These guards are adjustable to your horse’s confirmation because of the hook and loop closure system. Prevent irritation caused by flies and other pests. 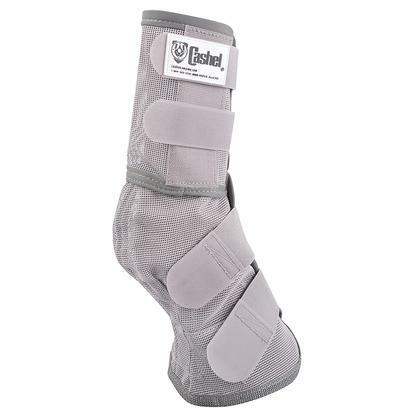 Cashel’s Crusader Leg Guards protect the lower legs from biting insects, burrs, stickers, and other potential irritants. 70% of the suns UV rays are blocked by these leg guards, which will help prevent sun burning and bleaching. They are made from the same quality poly mesh as Cashel’s fly mask. The strong and soft mesh is structured so as not to constrict and plastic stays ensure a slip free fit. 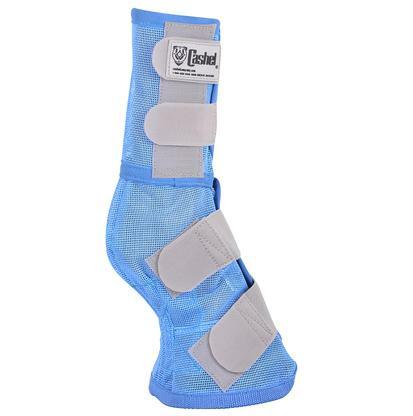 Hook and loop closures keep these Leg Guards secure and in place while providing the flexibility to adapt for conformation. 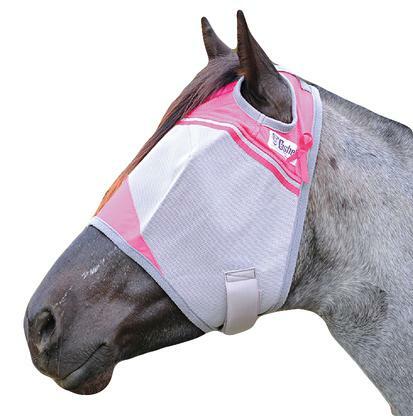 Help support the fight against breast cancer with this chemical free fly mask that also helps prevent sun bleaching. The coated nylon micromesh material provides a complete field of vision while preventing photo damage. Double darts give this fly mask structure and prevent rubbing. Eyes, lashes, temples, and forelock are all protected. Your horse will find the fit comfortable because of Cashel’s patented 3 hole design which stays in place and won’t cause forelock damage. The fly mast also has structured ear protection coverage that offers the same protection from pests and UV. 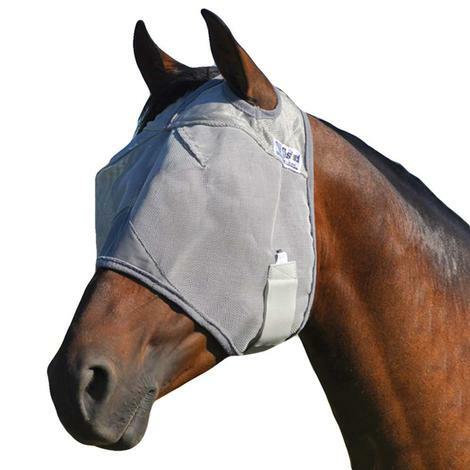 Cashel’s Crusader Fly Mask blocks 70% of the sun’s harmful UV rays without impeding your horse’s vision. Plus, Cashel will donate 5% of the proceeds to organizations that are seeking a cure for breast cancer. Help support the fight against breast cancer with this chemical free fly mask that also prevents sun bleaching. The coated nylon micromesh material provides a complete field of vision while preventing photo damage. 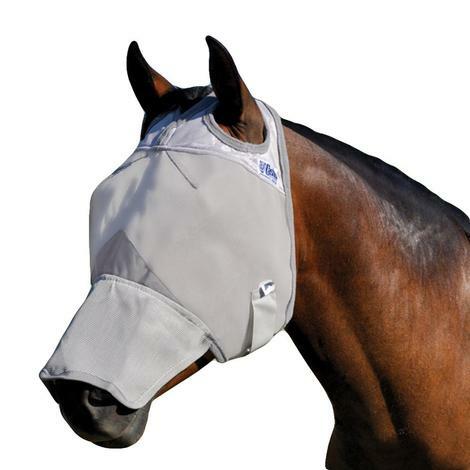 Double darts give this fly mask structure and prevent rubbing. Eyes, lashes, temples, and forelock are all protected. Your horse will find the fit comfortable because of Cashel’s patented 3 hole design which stays in place and won’t cause forelock damage. 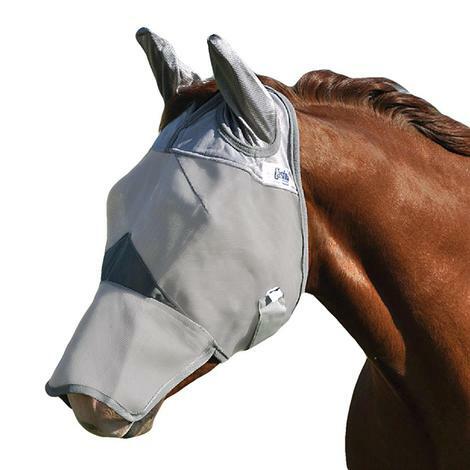 Cashel’s Crusader Fly Mask blocks 70% of the sun’s harmful UV rays without impeding your horse’s vision. Plus, Cashel will donate 5% of the proceeds to organizations that are seeking a cure for breast cancer. Block UV rays, prevent insect bites, and help support the Wounded Warrior Project. This fly mast is made from poly micromesh and is grey and blue. 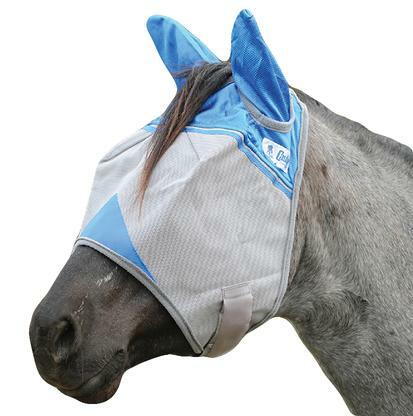 Biting flies can’t get thru but your horse will still be able to see. 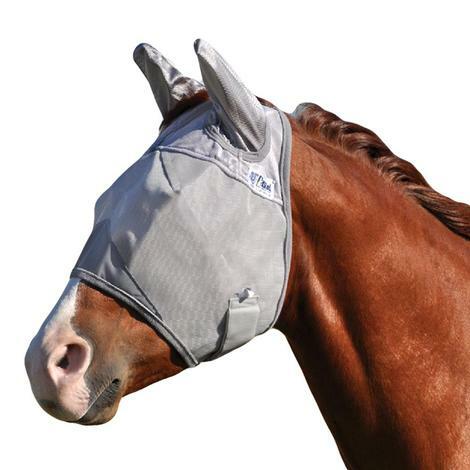 This fly mask also helps to prevent bleaching by blocking 70% of the sun’s UV rays. The 3 holes that create a secure pit on the face are designed not to interfere with the forelock. The double darts give the mask structure and keeps the fabric from creating burns of friction. Protect sensitive ears, foreheads, and eyes without chemicals. 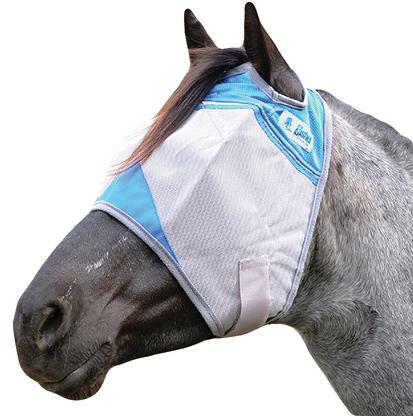 This fly mask is made from poly micromesh with 3 openings and double darts. This structural design prevents rubbing, ensures a secure fit, and protects the forelock from damage. It also blocks 70% of the UV rays and helps prevent sun bleaching. A percentage of the proceeds from your purchase will go directly to the Wounded Warrior Project. This handy little cuff wraps around your wrist and keeps water away from your body which makes washing your horse (or house) a lot less wet. 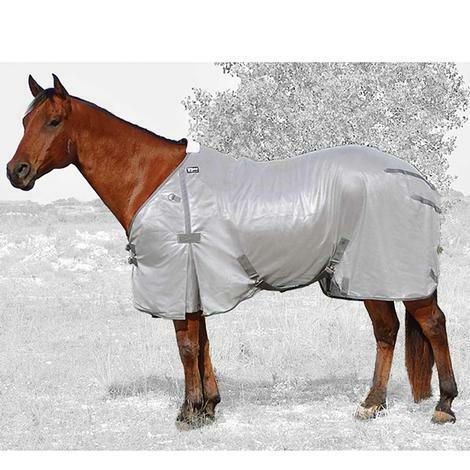 Protect your horse from flies and prevent sun bleaching. 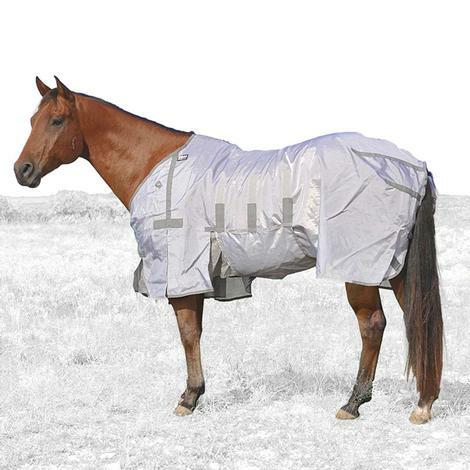 This fly sheet is made from cool polyester mesh that allows air to circulate and helps to alleviate heat concerns. The generous front gussets and contoured shoulder darts give your horse freedom of movement and constriction free comfort. 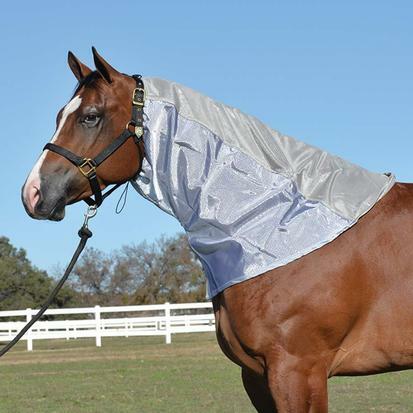 The Crusader Lightweight Fly Sheet is lined around the point of the shoulder, which prevents rubbing and the complications that rubbing can cause. The rear closure is adjustable and the leg straps are removable. This keeps the fly sheet in its proper place and ensures a proper fit.